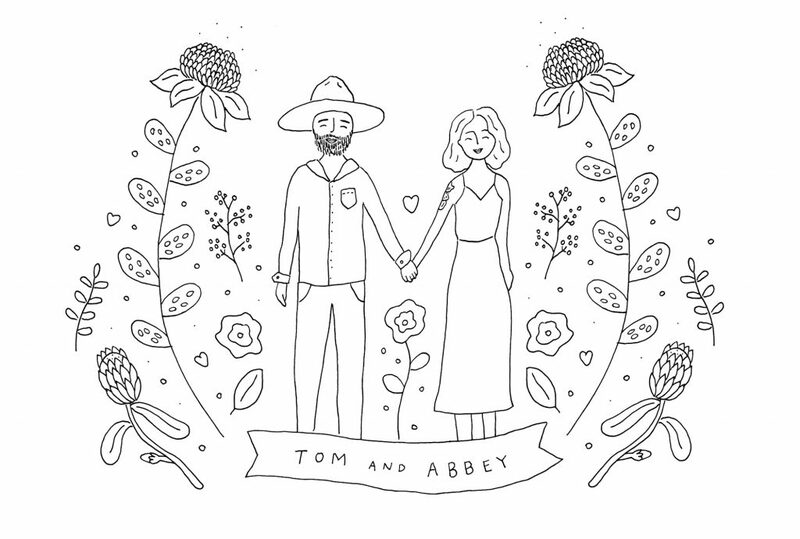 2019 for me began with an intimate wedding of all my favourite people where I got to marry the love of my life, Tom. We had the most fun party celebrating 11 years of love with all our friends and family in Melbourne. To have everybody you love in one place, is literally the best feeling in the world. Aren’t weddings the best! They’re just bursting with love, full of good food, great champagne and even better cake. Putting together a wedding is no easy feat. And if you’re in the midst of planning your own big day or just love weddings (what’s not to love! ), I’ve put together all my tips and tricks on pulling it all together, and just how to plan your own wedding. 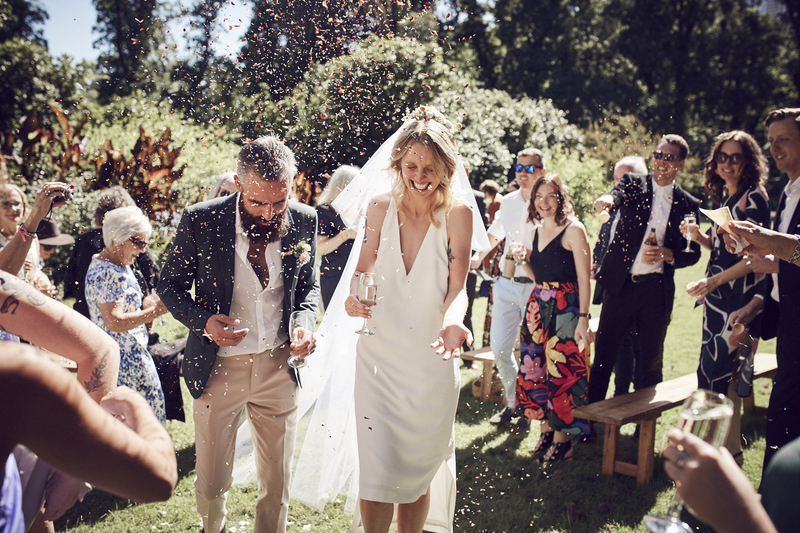 Our wedding brief – to create a huge party to celebrate our love. That was it. Nothing over the top, nothing that wasn’t ‘us’, and all we wanted was a party with everyone having the absolute best time. And I think we pulled it off. The day in itself is just as everyone says – the best day of your life. And it should be the best day of your life. But it is also very overwhelming, and stressful. But we want you to remember the fun parts more than the stressful parts so hopefully these little nuggets help. Start with the brainstorming. What type of wedding are you wanting. Do you want a colourful wedding, traditional, floral, themed, gigantic, intimate, lavish, indoor, outdoor wedding. Start with your non-negotiables. Ours, was as simple as an outdoor ceremony, indoor reception and for every part of it to be fun. No boring bits. No jolty in between bits, just a flowing day of good food, good wine and good times. Do it your own way. So simple! And what’s not to love. No colour smoke machines, no fireworks, no bridal parties – which are all great – just not us. Spot my adorable niece & nephew with our mini bolga baskets used as flower baskets. The scary money part. When I was doing my research I was shocked to learn just how much people were spending on weddings, you might have to sell you first-born to cover the cost. And if that’s what you want, go for it (please don’t sell your first born). But if it’s not, don’t feel like you have to spend your lifesavings on one day. It’s crazy. It’s literally one day of your life. Don’t get into debt over one day. To me, it’s never worth it. With that in mind, here’s some tips on how to keep the $$$ down. DIY baby. Get your hands dirty and get everyone involved. 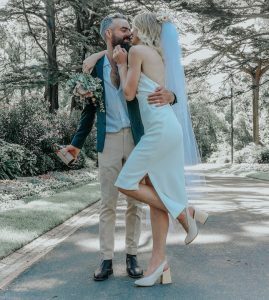 I was hesitant to ask for help at the beginning, but once I did, I realised just how much everyone loves weddings, and you’ll be surprised just how much everyone wants to get involved. Putting together all the floral arrangements, from my bouquet, my hair piece and all the floral posies decorated around the reception and ceremony. Ask everyone and anyone who can help! To save on our honeymoon money (that’s where we really wanted to spend all our $), we also cut out a lot of things that just weren’t needed. We didn’t have a wedding car, we both didn’t wear expensive outfits, we created our own playlist for the reception, and we chose the perfect venue within our budget. Choosing a venue. At first we wanted a completely DIY reception venue, but when we realised what that involved; in hiring the chairs, napkins, cutlery, plates, food, drinks and usually the cost of the empty space, it was just too hard and not cost effective. 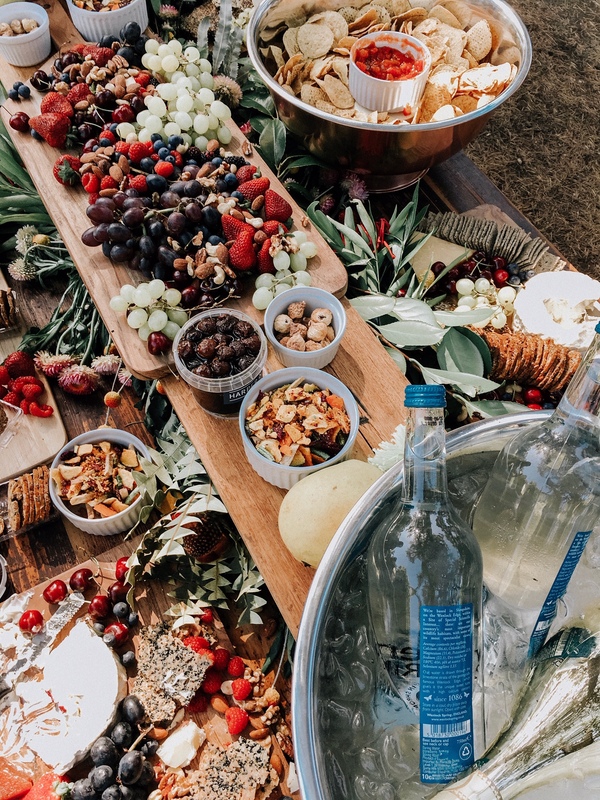 We then looked into other traditional style wedding venues and bars, but a lot of the time you have to cover the cost of the space for the night with minimum spends. Our solution – a local cafe. 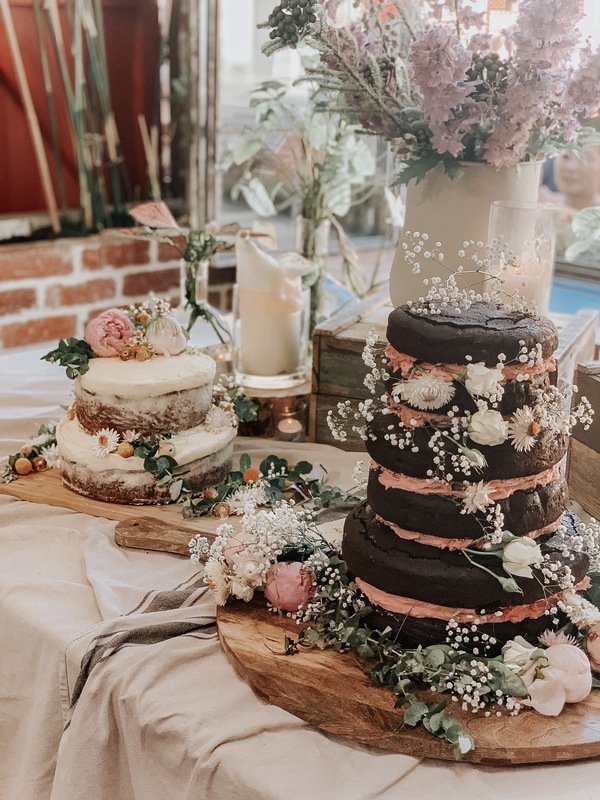 We started looking into all the local cafes we loved, which is a really cost effective venue option, as you don’t usually need to hire anything or pay to book out the venue, you just pay for the food and drinks – winner! We were super lucky with ours, it was part warehouse loft feels, part indoor jungle, with incredible locally sourced produce and the tastiest food. Save the invites and make a website. We used Zola to build our own website and it was super simple and the website took no time at all to make. And all you need to do is get the web address to your guests. We really wanted our wedding day to feel like one continuous party, and for us that meant keeping the day flowing. 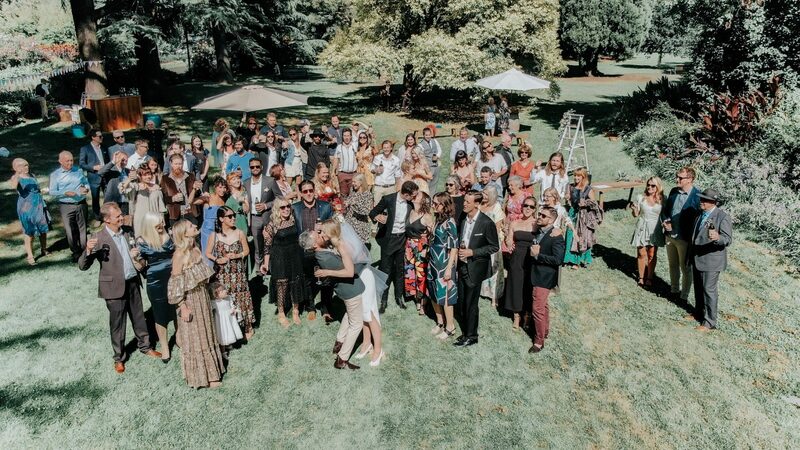 We decided to create a bit of a garden party vibe at our ceremony, with food, drinks & music and photos with everyone, which turned out to be so much fun! We also had a bus transport all our guests from the ceremony to the reception which kept everyone in the party mood. One of our favourite parts of the little extra details was the incredible illustration Jenna from Musings from the Moon created for us. We used this throughout our website and we printed drink coolers with the illustration for our guests to keep – which everyone loved! The photographer is one thing I am so glad we invested in. This was a non-negotiable for me. And the food. And the wine. These were all big parts of the day and we were happy to spend as much as was needed. My last piece of advice, would be to invest in an on-the-day planner, or an events planner. I had so much help from friends and family which made it so much easier, but if I was to recommend one thing, it would be to enlist help from someone outside of your guest list as things do happen out of your control and you’re going to need help! Planning your own wedding is a roller coaster ride of emotions, where love and happiness collides head on with overwhelm and stress, but it is what people say, the absolute best day, and remember to find those little moments just for you and your partner to stop, breath and take it all in.